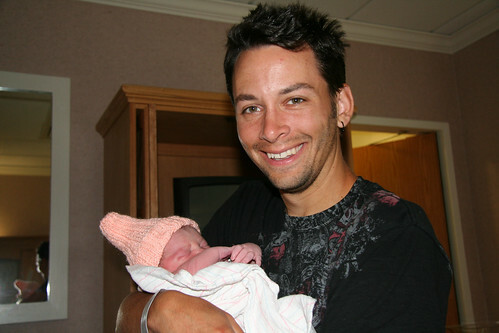 It is our pleasure to announce the arrival of Kayla Jane Fuller! Weighing in at 7 lbs. 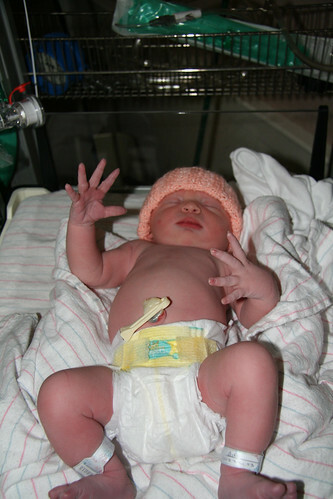 6 oz., Kayla was born at 11:08 AM MDT on August 10, 2009. Everybody is doing fine. So surprise — 2 weeks early and I started it! I took the family for a small hike on Flagstaff Mountain on Sunday afternoon. Kim probably got a mile or two in with all the walking. Felt fine but was tired on her return back home. She took a nap and later a bath. We got to bed late as we were watching a movie. Kim was ready to sleep but decided to get up to go to the bathroom one more time. As she sat up, a gush of water all over the bed. What was that? Kim said she thought her water just broke. In my infinite wisdom, I decided that it might have been water from the bath in her hootie. Moment of stupidity. I woke up the kids and called our neighbors, the Bradleys. They took the kids and Kim and I were quickly off to the hospital. I was in the moment and rushing everything. Kim was like…we have plenty of time. I felt like the kid was going to pop out any second. But nothing happened. I was in such a rush I dropped the SLR camera in the parking lot and shattered part of the lens. Oops. We checked in and they verified that the water had broken. We got a room and they started monitoring Kim. She walked laps in the hospital till the wee hours. Her doctor was there but he went home for some sleep because it wasn’t going to happen for a while. 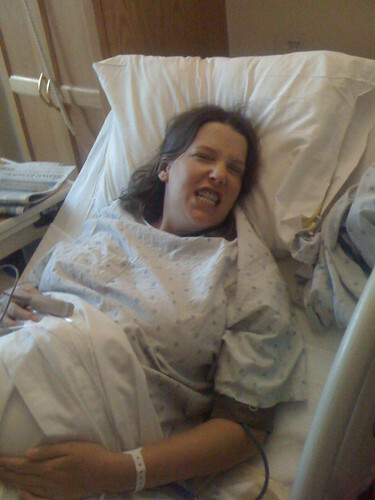 Kim got her epidural at about 7 AM or so and that made the contractions much better. I thought she was doing great handling them. I found some comfort in this and fell asleep on the couch for a few hours. 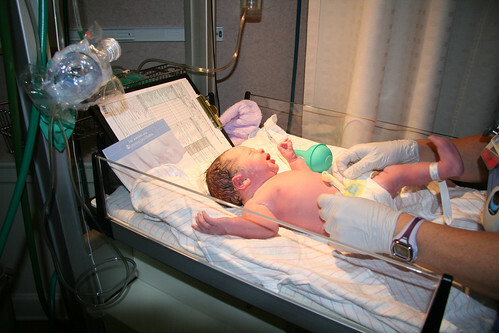 I awoke sometime after 10:30 to her nurse saying “fully dilated” and the room was starting to fill up with helpers. So she got in position and pushed and I saw the head come of out my wife. This will be the last time I have to endure that view. Then another push and the head came out. Lots of hair! Kim could see a reflection in the doctor’s safety glasses. 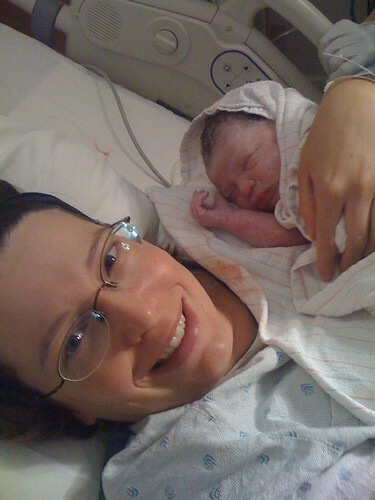 Another push and the shoulders came out and the doctor pulled out the baby. I cut the cord. The team went to work fixing up this new little person. Kim quickly had to get back to work and fed Kayla for over an hour. She was a hungry little girl! Just got back home. Picking up the 2 big sisters so they can go meet the new addition. Should be a fun moment. Lots of video coming soon. Thanks to all for your follows, wishes, and congrats. We appreciate it!